Finalists were joined by dignitaries, sponsors, judges and supporters at a black-tie event held at King George’s Hall where the winners were announced and celebrated on stage. Finalists underwent a rigorous judging process at Northcote at the Rovers which sorted the good from the great across a range of categories, including titles for those that showed the most creativity, manufacturing excellence and high growth, as well as business person of the year and young employee awards for individuals. 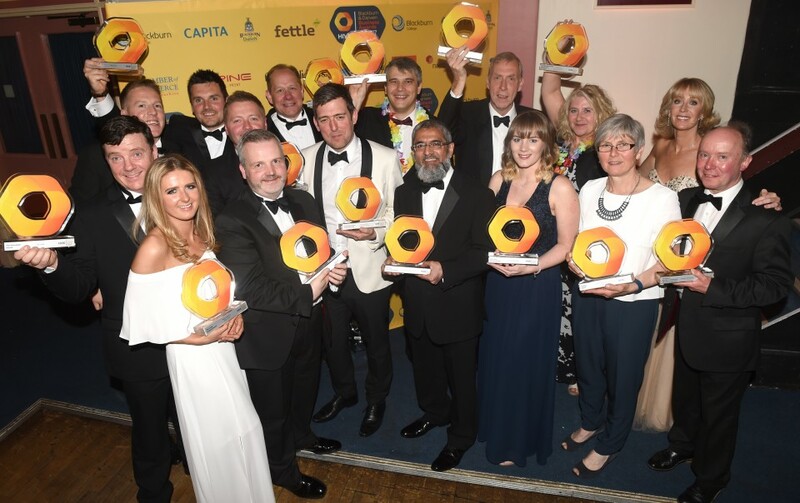 There were also two special awards; the Hive Chairman’s Award, won by Tauheedul Educational Trust, and the Arte et Labore award, won by Mike Damms, the recently retired Chief Executive of East Lancashire Chamber of Commerce. The host for the evening was ITV weather presenter Emma Jesson, with Patrick Grant, director of Norton & Sons, as guest speaker. Headline sponsors of the Hive Awards 2017 are Blackburn College, Capita and Blackburn with Darwen Borough Council. Other sponsors are the Business and Enterprise Trust, East Lancashire Chamber of Commerce, Forbes Solicitors, Heritage Envelopes, Maple Grove Developments, Napthens Solicitors, Northcote at the Rovers, Parkinson Signs, Pierce Chartered Accountants, Precision Polymer Engineering (PPE), Red Rose Holdings, Westholme School, WEC Group and Whittle Jones, with media partners Asian Image, 2BR, Lancashire Telegraph, Lancashire Business View and Square Cactus.